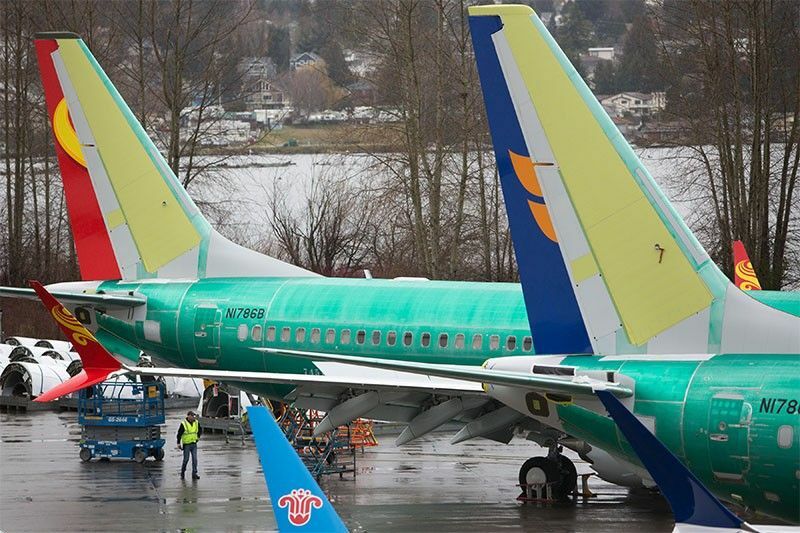 (FILES) In this file photo taken on March 12, 2019 Boeing 737 MAX airplanes are pictured at the Boeing Renton Factory in Renton, Washington. Boeing's 737 MAX aircraft will be outfitted with a warning light for malfunctions in its MCAS anti-stall system, suspected in October's fatal crash in Indonesia, an industry source told AFP. This safety light, which had been optional, will become standard and is among the modifications the company will present to US authorities and clients in the coming days, the source said on condition of anonymity. Ethiopia's parliament has declared Monday a day of national mourning after a Nairobi-bound Ethiopian Airlines plane crashed, killing all 157 people onboard. The Ethiopian transport minister says the crew of the Ethiopian Airlines plane that crashed last month killing 157 people, repeatedly followed procedures recommended by Boeing, but were unable to regain control of the jet. Investigators probing the fatal crash of a Boeing 737 Max in Ethiopia have reached a preliminary conclusion that a suspect anti-stall system activated shortly before it nose-dived to the ground, the WSJ reports citing people familiar with the matter. The findings were based on flight recorder data and represented the strongest indication yet that the system, known as MCAS, malfunctioned in both the Ethiopian Airlines crash on March 10 and the Lion Air crash in Indonesia last year, the Wall Street Journal says. French investigators have received the black boxes from the Boeing 737 MAX that crashed east of Addis Ababa in Ethiopia, killing all 157 people on board, France's BEA airline safety agency says. Ethiopian authorities had requested French help to analyze the content of the flight data recorder and cockpit voice recorder to discover what caused the Ethiopian Airlines flight to plunge to the ground just minutes after takeoff on Sunday. US authorities say that new evidence showed similarities between Sunday's deadly crash of an Ethiopian Airlines Boeing 737 MAX 8 and a fatal accident in Indonesia in October. The weekend crash killed all 157 people aboard. Ethiopian Airlines says that the black box flight recorders from the Boeing 737 MAX 8 that crashed with 157 people on board have been flown to Paris for analysis.